The book fully explains how to execute computationally intensive analysis on very large data sets, showing readers how to determine the best methods for solving a variety of different problems, how to create and debug statistical models, and how to run an analysis and evaluate the results. 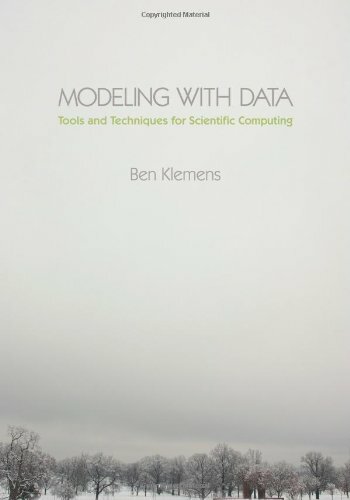 Ben Klemens introduces a set of open and unlimited tools, and uses them to demonstrate data management, analysis, and simulation techniques essential for dealing with large data sets and computationally intensive procedures. Modeling with Data will interest anyone looking for a comprehensive guide to these powerful statistical tools, including researchers and graduate students in the social sciences, biology, engineering, economics, and applied mathematics. Contents: Introduction to Computer Simulation; Simulation Languages; Applications of Simulation; Starting a Simulation the Right Way; Simulation Quality and Development; Developing a Simulation-Implementation; Case Study: DePorres Tours.